Yannis Philippakis has argued that Foals' new album proves they're not "a one-dimensional band"
Foals' new album proves they're not "a one-dimensional band", according to Yannis Philippakis. The rock group's lead vocalist feels that 'Everything Not Saved Will Be Lost – Part 1' underlines the band's evolution over the years, and he's thrilled that their fans have followed them on their journey. He explained: "We're not a one-dimensional band. "There's a cockiness in feeling like we can put our hand to a variety of ways of expressing what we want, while still in some way being identifiably Foals. There's a freedom in that. "The fan base is one that's grown with us. They expect these jumps and expect something new." 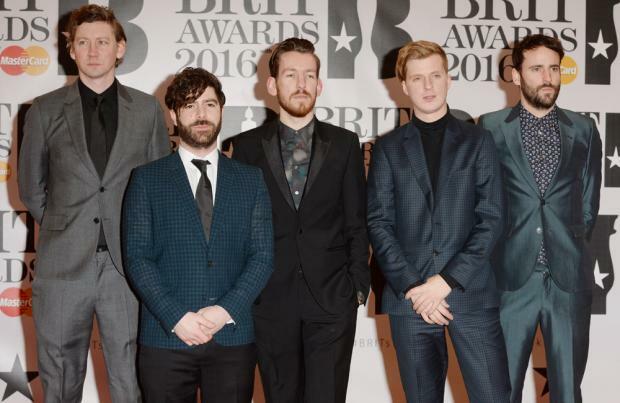 Yannis, 32, also confessed that the band – who released their debut studio album, 'Antidotes', in 2008 – have become more appreciative of their success as time as passed. He told NME magazine: "What we have is precious: to be in a guitar band that's still relevant and at its creative peak. "We're much more aware of that now than when we were young. We have an understanding that what we have is special and worth fighting for – particularly in the current musical landscape." Yannis added that he sees his career as "an act of resistance". He reflected: "Actually playing guitars and working in the way that we do is kind of an act of resistance."